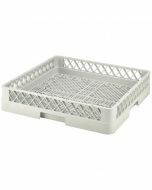 Professional dishwasher basket dolly, made entirely from high grade 304 stainless steel to be hard wearing and durable. 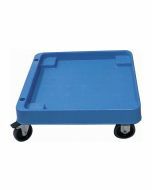 Ideal for professional washrooms and busy commercial kitchens. 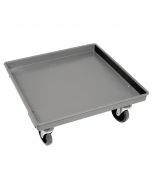 TThe stainless steel frame and handle are 25mm thick whilst the base is 1.5mm thick. 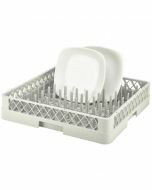 This dishwasher basket dolly is capable of an impressive 150kg maximum loading capacity, making it ideal for transporting and storing a large quantity of clean and dirty dish racks between service areas and the washroom.